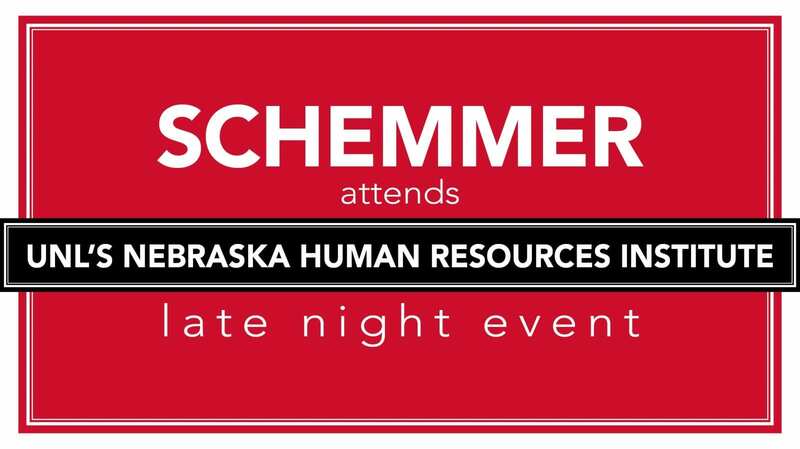 Schemmer’s Grace Stoddard, SPHR, and Doug Holle, PE, attended the University of Nebraska – Lincoln (UNL)’s Nebraska Human Resources Institute (NHRI) Late Night on Thursday, November 29, 2018. The event included a roundtable discussion with NHRI students about leadership and career development. Each table had a different topic and Stoddard and Holle spoke with students on what leadership means to them and how they define leadership. After 10 minutes of conversation, students moved on to the next table. 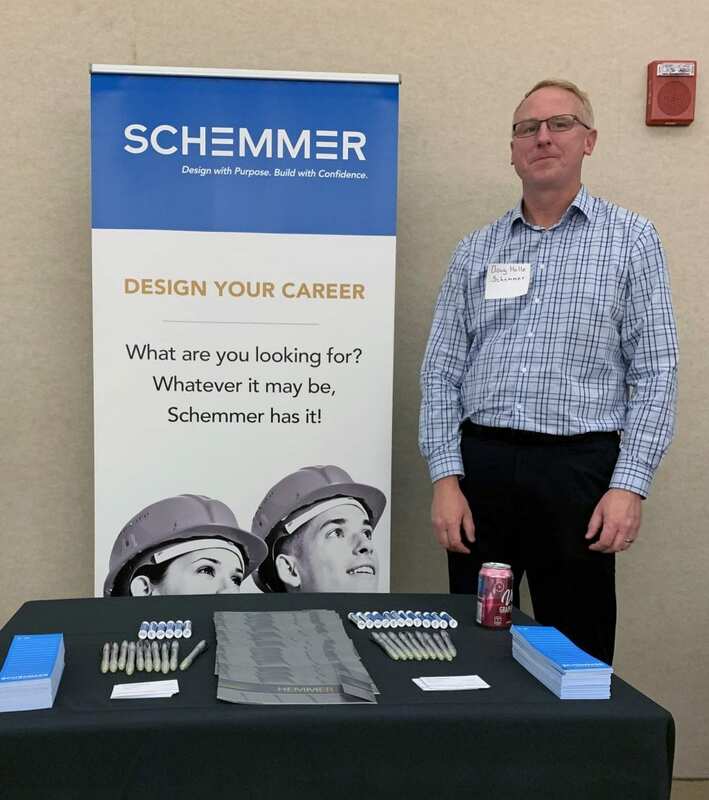 There were also one-on-one opportunities to speak with students at our Schemmer booth. NHRI is a leadership development program that pairs outstanding college leaders with outstanding grade school leaders in Lincoln Public Schools in a one-on-one mentoring relationship. The objective is to discover individuals with an exceptional capacity to positively influence others. They meet weekly, with the goal of cultivating leadership skills through investment relationships and developing strengths in the grade school students to be used to build positive relationships with others.